Renault’s Captur was one of the first cars in what is now an increasingly crowded small crossover sector. The front-wheel drive car is available as part of a simplified range, as of summer 2018, with just one petrol and one diesel engine, the latter coming with an automatic gearbox as well as the manual, three trim levels and a simplified options list. What is the Renault Captur like to drive? 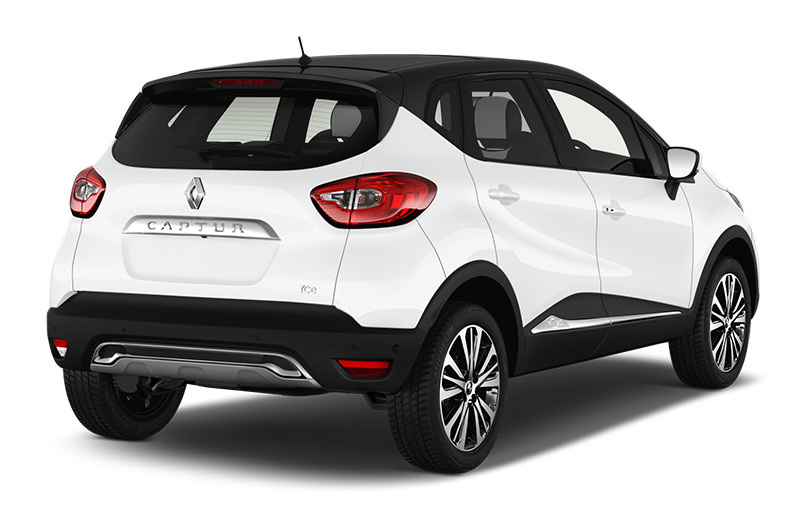 Despite what looks on paper to be a modest power output, the Captur’s 90hp petrol or diesel engines prove more than up to the task of pulling the little crossover around without fuss. But it’s the ride quality that is probably the Captur’s most impressive feature from a driving perspective, soaking up bumps big or small without any crashing or thumping, especially around town where it’s composed and comfortable. 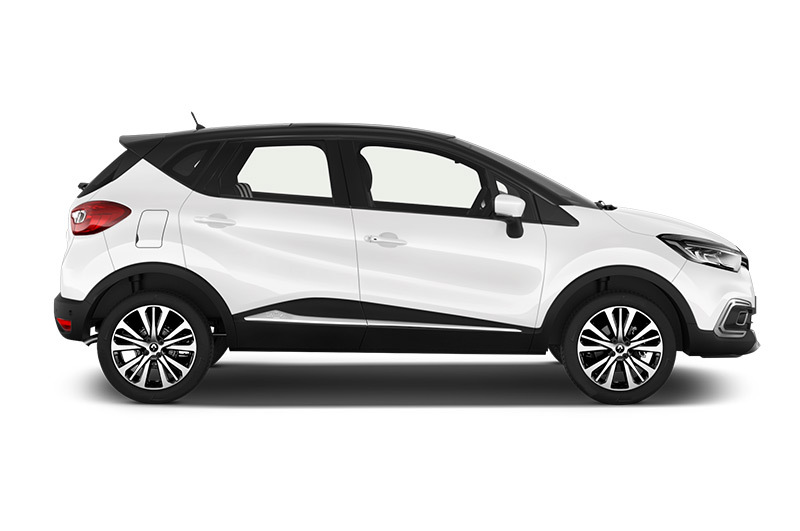 Despite the higher ride height, the Captur drives more like the Clio hatchback it’s closely related to, offering a light and nimble steering that makes nipping through urban traffic a simple task. Predictably, the petrol is the quieter of the two engine choices, though neither have any issues in terms of refinement, and likewise road and wind noise are no cause for complaint. The mid-spec Iconic trim gets the 7” touchscreen system which is appealing from a multimedia functionality point of view. It also brings navigation, larger alloys and other pleasant additions that make it worth the £1500 step up from the entry trim level. Options are scarce, with a £110 space-saver spare wheel possibly a good idea, and for £600 the Technology Pack adds upgraded navigation, front parking sensors, rear camera and a couple of other extras to the Iconic trim. The smooth and efficient petrol engine is our choice for all but high-mileage drivers. Renault Captur Interior – what’s it like? 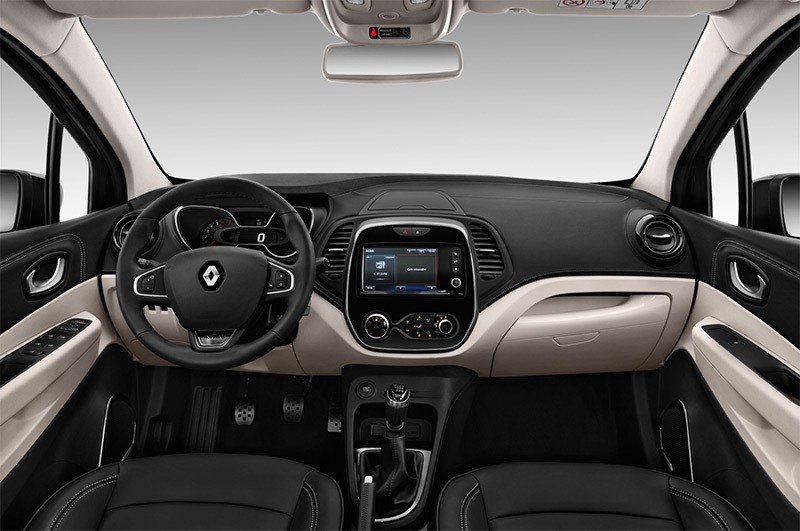 The interior was a focus for improvement on the Captur’s mid-life revision and Renault has enhanced a cabin that was already good in terms of quality and layout. The high driving position gives a good view of the road, helped by thin roof pillars that don’t block forward visibility. The steering wheel’s reach and rake adjustment combines with seat height adjustment and slide, meaning it should be easy for all drivers to find a comfortable position. 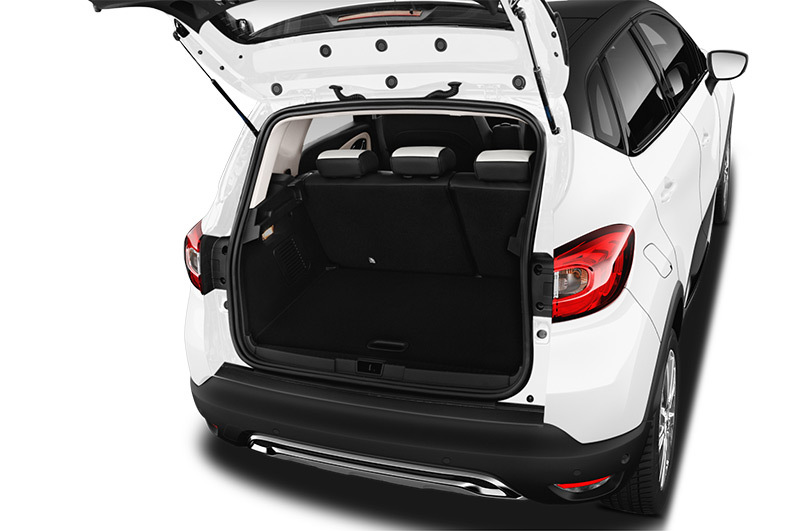 Boot space is reasonable, helped by the movable boot floor that either gives a deeper boot or a flat load floor with space for smaller items underneath. 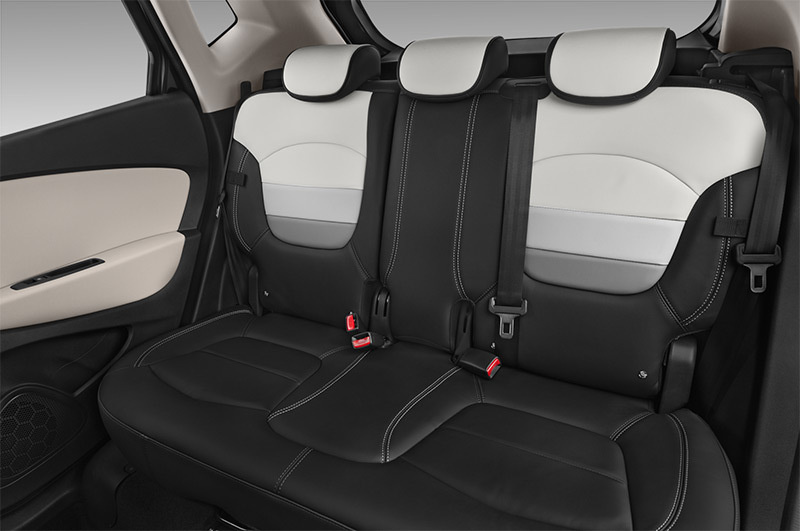 Rear passenger space is in line with rivals. Rivals include the Nissan Juke, Citroen C3 Aircross, Hyundai Kona, Kia Stonic, Mazda CX-3, Peugeot 2008, Seat Arona and Vauxhall Crossland X. 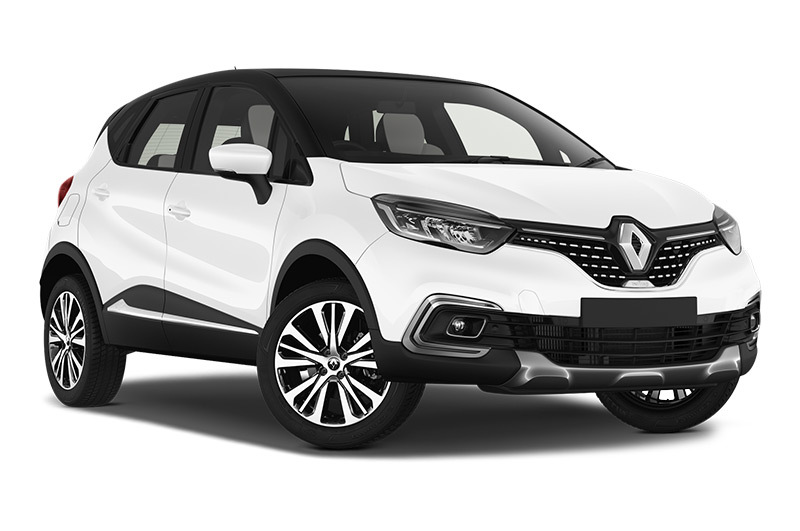 The Renault Captur has achieved strong sales across Europe off the back of good emissions and equipment levels, a comfortable ride and strong styling. In an increasingly popular and competitive sector, it still stands out as a good choice.